Where can I get software updates for my Roland Machine? You can get software updates from the Roland Website. First go to Roland DGA website which is based in the USA. Second if you want to check or think there is a newer driver or software update available then go to the Japan website for Roland products here. Choose your machine from the drop down list. 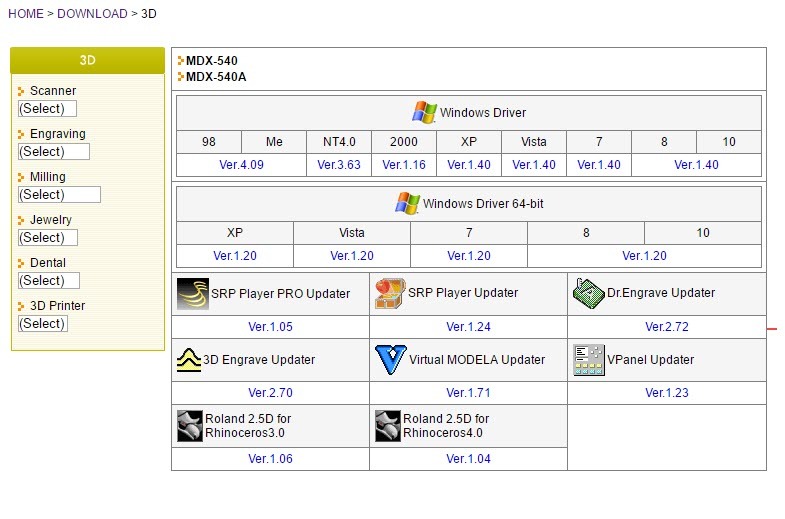 Here you will find the absolutely newest drivers and software updates for your machine. > How do I Cancel a Print Job on MDX-40, MDX-40A?